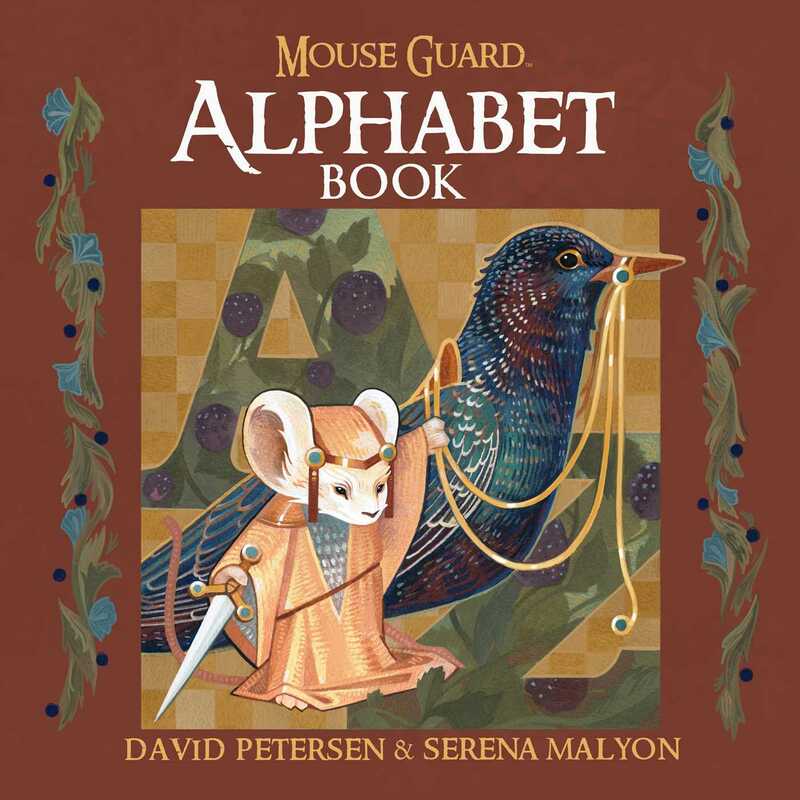 The ABCs, through the lens of the award-winning and fan-favorite world of Mouse Guard, featuring alphabetic poems by David Petersen and gorgeously illustrated paintings by Serena Malyon. Learn the ABCs in the world of David Petersen’s Mouse Guard where brave mice protect one another from predators large and small, explore the expansive nature around them, and thrive in harsh conditions. It’s a world with rich culture and stalwart friendships, worth exploring one letter at a time.